Just like that, we’re at the end of another great year! In the middle of all the holiday excitement, and counting down to 2018, we’d like to take a second to look back on some of CityEngine’s most exciting moments in 2017. Let’s start with one of the most obvious highlights – the release of CityEngine 2017 and 2017.1! In July, the release of CityEngine 2017 introduced a revamped interface, scenarios with customizable dashboards, Local Edits and Measure tools, enhanced CGA queries, and improved import/export functionality. These are major improvements to the software, enabling users to take their creations to the next level. 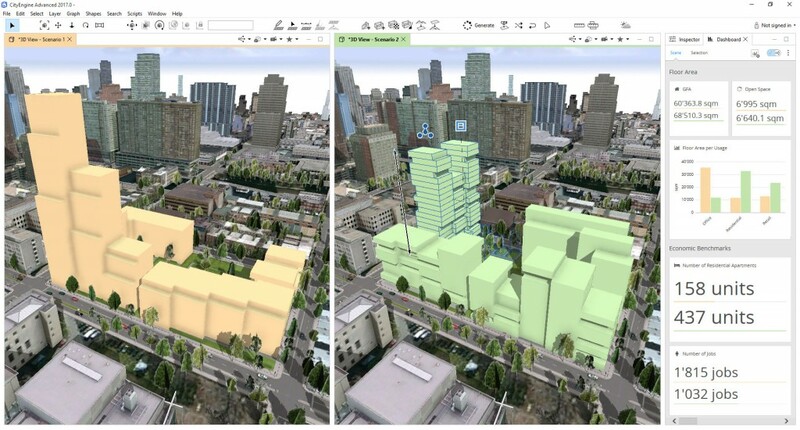 In November, CityEngine 2017.1 was released – which brought us new visibility tools, high-end architectural visualization with Unreal Engine, and collaborative layer editing with the ArcGIS Platform. It is our hope that these new features will meaningfully impact how you work, and take your 3D modeling & planning to the next level. And if you haven’t already, go to My Esri to upgrade to the latest version of CityEngine, or if you’re new to CityEngine, download your free, 30-day trial here. 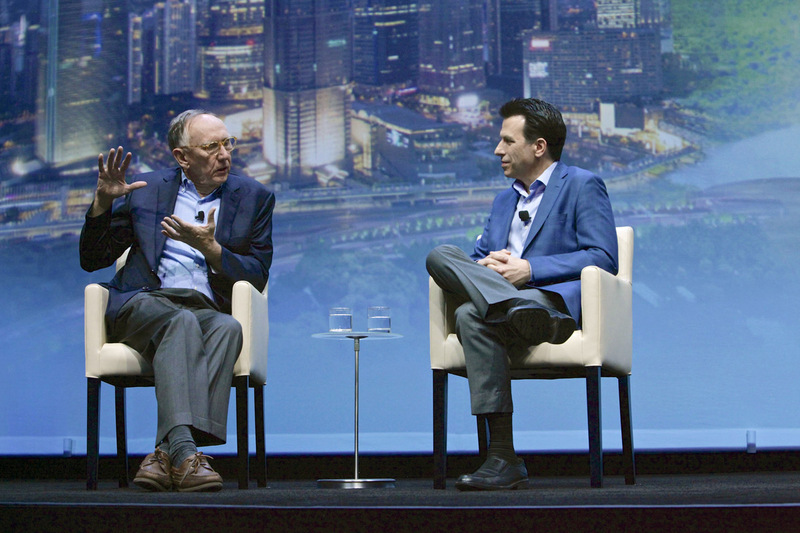 The Esri User Conference is always a great place to learn about the latest in GIS, and be inspired by the work of others in the field. This year, 3D was a huge component of the conference, and you couldn’t turn around without bumping into it. CityEngine itself was well-represented at the 3D GIS Showcase, in numerous technical sessions, and at the 3D Demo Theater. 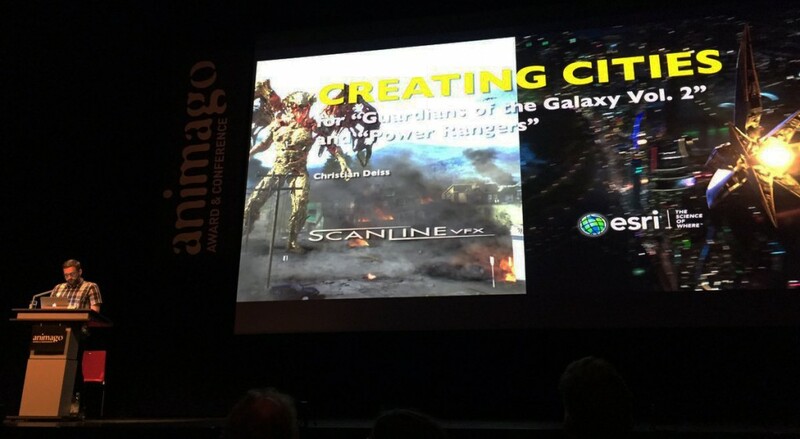 But CityEngine also had some awesome coverage at the plenary! 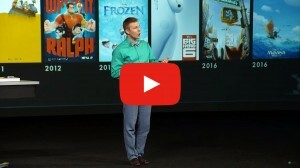 Brandon Jarratt (General Technical Director at Walt Disney Animation Studios) took to the stage to talk about how CityEngine was used in the Disney film Zootopia. It was thrilling to watch Brandon’s presentation on the world of Zootopia, which is a city as colorful and diverse as its animal citizens. You can relive Brandon’s presentation here. And if you liked Brandon’s UC talk – you may also want to check out the VES Webinar hosted shortly after the conference. 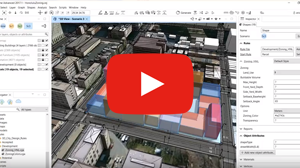 This webinar, featuring Brandon, gives an overview of the process, takes a closer look at the Esri CityEngine pipeline integration, and shows some results that were featured in the film. Many thanks go out to Brandon & Disney for giving us a behind the scenes look at their workflow with CityEngine this past year. We’ve had a lot of exciting activity on YouTube in 2017. 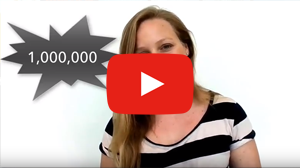 In the fall, CityEngineTV hit 1,000,000 views! That’s amazing, and we couldn’t have done it without you (obviously). Our sincere thanks go out for the views, comments, and interactions you’ve had with us through YouTube and other social media. It’s so valuable for us to get feedback from all of you so we can continue to provide you with the most relevant content you need to support your work. And in case you’ve missed it… there has been lots of exciting new content on YouTube in 2017! The Rule of the Week has especially been a hit, with CityEngine’s Eric Wittner sharing new rules for use in your own project. You can catch up by watching the playlist here. Each rule is accompanied by a video that explains the rule and a link to download. If you’re using any of these rules, please let us know! We’d love to see. 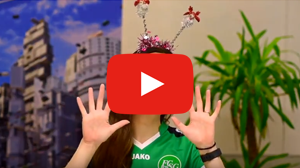 Besides the Rule of the Week, another popular series on YouTube this year has been the CityEngineTV mini-episodes “Can’t Live Without” featuring Taisha Waeny from Esri’s R&D Center in Zurich! 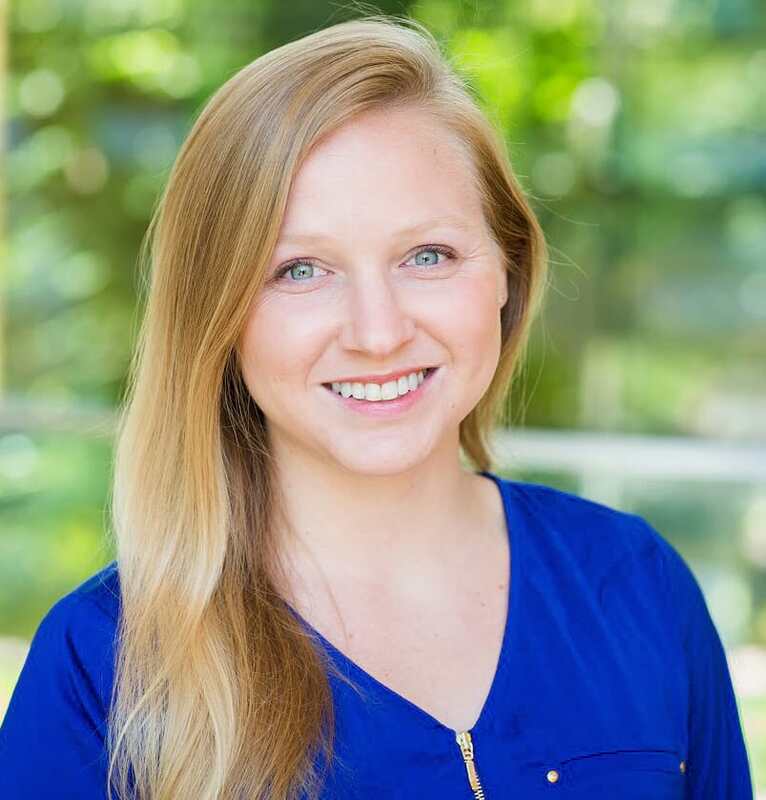 Every week, Taisha has shared CityEngine tips & tricks, behind the scenes footage (did you see Week 10?! The Zurich office is amazing), fellow users’ beautiful work, and more. You can catch up or re-watch the “Can’t Live Without” playlist here. We’re so excited to continue this series into the new year – if there are any topics you’re interested in learning more about, tweet at us or leave a comment below. CityEngine had some awesome coverage on the big screen this year! Did you know that blockbuster hits like Power Rangers, Guardians of the Galaxy, and Justice League all utilized CityEngine to help create the cities seen in the films? Wicked cool, right? Our friends at Scanline VFX built a pipeline to generate massive urban environments with CityEngine. At Animago 2017, they presented a session reviewing their use of the tech & the pipeline creation. It’s fun to see CityEngine being used in so many unique and diverse ways. The last highlight I’d like to touch on are our new and continued partnerships and collaborations with great companies and people. 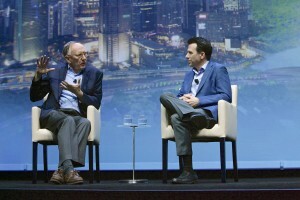 Obviously, one of the biggest announcements of the year was at Autodesk University in November, where Esri and Autodesk made the news of collaboration public. This collaboration will put GIS and BIM at the center of construction projects, creating smarter cities and resilient infrastructure. We’re excited to see where this collaboration takes us in the future, and look forward to learning more in 2018! In March, we teamed up with SketchUp and our friends at Houseal-Lavigne to present a webinar on 3D Planning. This session took a deep dive into planning workflows that integrate SketchUp and CityEngine, so that you can model and better understand your city in 3D. Houseal-Lavigne tied everything together with a wonderful demonstration of their workflow, and the recorded video is the one of the most popular on our YouTube channel. Another highlight of 2017 was working with the development team of Epic Games’ industry-leading Unreal Engine to streamline the transfer of CityEngine scenes into the Unreal development environment. This provides the foundation to build 3D experiences that allow you to walk through realistically rendered city models or even create a fully-fledged 3D game. Learn more about the new CityEngine-to-Unreal workflow at the recent Unreal Engine SIGGRAPH User Group Meeting. And don’t forget to watch the webinar with Epic Games, Esri, and HOK to see how designers and visualization professionals can use CityEngine and Unreal Engine to explore and communicate urban design projects. 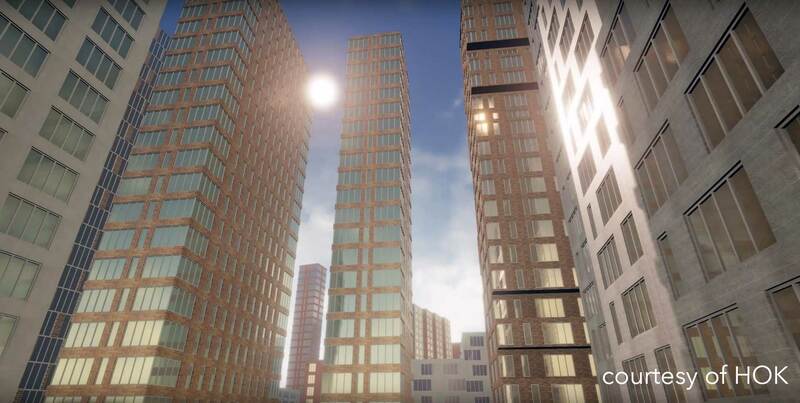 Lastly, in November, Presagis, a recognized leader in modeling and simulation software, announced that they’ll be integrating CityEngine with its solutions to achieve faster turn-around times, as well as higher levels of realism and accuracy in virtual representations of the globe. We’re looking forward to seeing how Presagis leverages their extensive experience in creating synthetic environments with CityEngine! 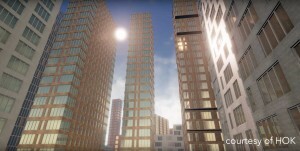 It’s been an awesome year for CityEngine and to be a part of the 3D world. Thank YOU for joining us on the ride that was 2017. We’re looking forward to seeing what 2018 brings…but until then, have a fantastic holiday season, and we’ll see you next year.